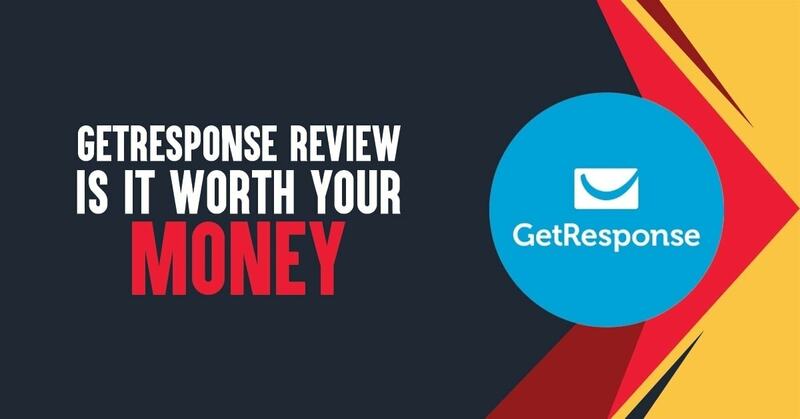 GetResponse Review 2019: Is It Worth Your Money? Getresponse is the perfect email auto responder service with affordable pricing and great features. You can get 30 days free trial by clicking the below link. Read Getresponse Review to know how to use GetResponse to its fullest. This is not only about Getresponse review, I will also show you why you need an email list and why Getresponse is the best email marketing company you will ever need. I’m sorry to say this but, any blogger or internet marketer who’s not yet building an email list today is a joke. See, I don’t mean to sound rude here but, I wish there’s a better way I could say it. According to a research done by DMA, When it comes to purchases made as a result of receiving a marketing message, email has the highest conversion rate (66%), when compared to social, direct mail and more. Similarly, Content Marketing Institute stated that “83% of B2B marketers use email newsletters for content marketing”. If you’ve been blogging for a while, you already know the fact that email list is the primary income source for most of the professional bloggers who make a living from their online businesses. One of the great reasons to build an email list is you can have your own tribe who are interested in your stuff and who are ready to buy your products. In this Google panda and penguin era, you can’t build a profitable online business without having an active and responsive email list. You might be thinking that social media will equally do the magic for you and, that’s where you got it all wrong. Depending on social media alone for all your internet marketing campaigns is a big risk because anything can happen at anytime, Facebook can wake up one morning and decide to delete your account and what will happen, you’ll automatically loose everything. That was the same problem Noah Kagan faced some time ago. He had a facebook account that was making him millions of dollars per day until it was eventually shut down by Facebook and he lost everything. But, if you have your own email account, everything about it is yours. You have full control of it and can equally decide what you want to do with it at anytime. Moroever, you are 6x more likely to get a click-through from an email campaign than you are from a tweet or Facebook share as stated by Campaign Monitor. Aside that, in 2015, DMA equally found out that email marketing has an ROI of 3800% compared to social media. So now, I’m sure you already understands that you need to start building an email list if you’re not already doing so therefore, let’s get to the next point. And that is to share with you why Getresponse is one of the best email service provider out there. Getresponse Review: Is It The Best Email Marketing Software? Is GetResponse Price Really Affordable? How to Use GetResponse to Send Email Newsletters? If you are looking for an honest, unbiased and the most in-depth GetResponse review, you have come to the right place. Let me tell you something. Most times, having the desire to build an email list is not always the problem, the main thing lies in choosing an email service provider that will give you exactly what you want, making the entire process easy for you thereby giving your subscribers a good user experience too. Though there are many services like AWeber, Mail Chimp, Madmini etc. I personally recommend anyone to go with GetResponse because it’s not only an affordable email marketing product but also has some amazing features that no other email marketing software offers. GetResponse is the widely used, most affordable and used as a 3 in 1 package. It helps you do the following 3 things. In this in-depth GetResponse review, we will discuss why GetResponse is the best email auto responder in the business. Let’s jump right in. The primary reason for using GetResponse to build and grow your email list is because of its affordable pricing. You will get all the premium features like split testing, analytics tracking, time machine feature etc for just $15 (up to 1000 subscribers) whereas Aweber is charging $19 for the same. With this same parkage, you can send unlimited number of emails to your subscribers without any extra cost. Here’s the price chart for different subscribers modes. Note: It’s cheaper than AWeber in price and has more great features than AWeber. If you are wondering how the GetResponse dashboard looks like in general and how to actually create and send email newsletters to your subscribers, I’ve a simple tutorial for you in this GetResponse review. Here’s the 3 step tutorial on how to send newsletters and emails to your subscribers using GetResponse. Step 2: Now, you will be taken to the next page where you need to pick an editor to start creating your newsletters or emails. I personally use and highly recommend “New Email Creator” option. Step 3: Now is the fun part where you will have to create a compelling subject line to send to your email list. Step 4: This is the final step where GetResponse gives you amazing newsletter options where you can pick anyone among them to use it as your email template. I personally use a simple (no image) email newsletter though. That’s it! Click on send to send your email instantly or you can also schedule it later if you want. Now, let’s talk about the features of GetResponse in this unbiased GetResponse review. Are you ready? Let’s go. Here are few notable features that come with GetResponse. We will now get into the details of what GetResponse can offer you and how you can use it to sell products. Getresponse has a feature called marketing automation. This is what most other email marketing providers out there lacks. What this does is to send a marketing email to a particular portion of your subscribers based on interest. For instance, you sent out a general email about your upcoming launch and a certain number of people opened the email or clicked on the link included in the email, they will be set aside for future emails regards the launch. That means that each time you send out another email about the launch, only these group of people will receive it because it’s assumed they’re interested about it. The beauty of this is that it will enable you to send offers to the only people that needed it instead of disturbing your whole subscribers with offers they don’t want. Similar, it will often boost your conversion rate because you’re targeting the right people. This short video says it all. The mobile users who are using smart phones and tablets are increasing day by day. Most of the smart users are using their phones to open and read their emails. What if your auto responder is not responsive? They simply can’t read your emails. According to Campaign Monitor, “about 53% of emails are opened on mobile devices”. Similarly, they also discovered that “from 2011 to 2013, email opens on mobile phones devices increased by 30%“. As you can see, the number of people using mobile phones to access their emails is increasing by the day, and with GetResponse, you can send responsive emails to any smart phone users. Be it any device, smart phone, tablet or iPad, they can read your emails without any hassle. This is the one feature that makes GetResponse a good buy in the auto responding business. According to their research, you can reach 42% more new readers and close more sales if your emails are responsive. That can hugely change your business and product sales, isn’t it. Another notable biggest advantage with GetResponse is that you can import contacts without your email subscribers having to opt in to a list all over again, that’s a huge plus point, right? One of the best ways to increase your conversion rates, sales or subscribers is to perform A/B testing on multiple pages. It’s also called as split testing which helps you find the best email newsletter that gets more open rates. You can simultaneously test, analyze and optimize any element of your emails. You can perform A/B testing on your email subject line, call to action CTA, from field, best time and day to send email, and many more. I recently ran a A/B testing with my newsletter and I have used two email subject line variations. The best part here is, GetResponse automatically sends whichever has the highest clicks or open rates. How cool is that? Let’s say you have 1000 email subscribers on your list and created 2 email subject line variations to see which works better using A/B testing feature on GetResponse, it automatically sends 250 emails using the 1st variation, 250 emails using the 2nd variation and the remaining 500 emails will get the BEST email variation that get more clicks or open rates. Want to send e newsletter to your subscribers at regular intervals? As soon as someone subscribed to your mailing list, they receive a welcome message from you. You can set the time to send discount offers on your products and services to your subscribers. You can send both time based and action based messages using autoresponders. Time based actions include setting time intervals to send a particular message whereas action based actions include user actions such as completion of a particular form, opens and clicks, completed transactions. If you want to instruct Getresponse to do something when a user clicks on anything, you can do that so by setting up an “automation flowchart”. This is possible with the new version of autoresponder from Getresponse. You can easily send an email sequence with their service. Isn’t it good to track information like click-through rates and unsubscribe rates? You can find out what exact actions your subscribers are taking on your email. You can also identify people who did not engage with your e- newsletter. It is highly useful information that you can send to those particular group of people with a different version of e newsletter. If you want to know whether your email campaigns are driving sales or not, you can trace it by adding some tracking code to your post sales page under “email ROI”. Getresponse gives you information about your subscribers from where they have subscribed to you. This helps in concentrating more on that particular social media platform. One of the features that Getresponse stands out in the crowd is “Split testing”. It allows you to split the test up to five different messages where other competitors like MailChimp allows up to 3 variations, Campaign Monitor allows up to 2 variations, AWeber allows up to 4 variations and Mad mimi doesn’t provide split testing at all. I can’t wrap up this GetResponse review post without talking about its pros and cons. Offers flexible email editor and easy to use template. Offers very helpful customer support both phone and live chat from 8:00 a.m to 8:00 p.m.
You can analyze subscriber actions. You can create A/B test campaign. Gives options to your subscribers to fill out the form. It also suggests the best time to deliver mails to your subscribers based on your industry. You can track whether your email is opened, bounced or forwarded to another person. You can know about the behaviour of your customers. It offers 1GB of picture hosting. It offers Google Analytics integration. You can get all analytics report straightaway to your inbox. You needn’t externally do anything for this. There is no free plan. Just offers 30 day free trial. GetResponse interface takes some time for newbies to send autoresponders and design landing pages. I find MailChimp’s interface even more easy. Without marketing, there is no business and email marketing is the best way to reach massive number of customers. To promote content and to sell products, it’s the easiest way to gain the trust of the customers. That’s where an email list comes into play. Most online marketers create surveys using expensive tools to know and analyze their customer needs and frustrations. If you decide to buy GetResponse, you can easily create and perform surveys. Creating and analyzing your surveys is as easy as creating a newsletter on GetResponse. You can also analyze who opened your survey, who clicked on the links and many more using its great features. Not a tech savvy? No problem. You can still create great emails using drag and drop email creator. You just have to pick up few elements and write your stunning emails, their email creator will do the rest. One of the reasons I chose to use GetResponse is because it offers thousands of free iStockphoto images. Unlike other services where you have to purchase imagery to use in your sales campaigns and autoresponder emails. You can use them for free on your emails without giving any credit to the images whatsoever. They all are of highly quality and look visually appealing in all the devices. GetResponse has an outstanding email delivery rate of 99%. That means if you are using GetResponse to build and send emails to your subscribers, you have very less chances of landing in their spam boxes. They have excellent anti-spam policy that makes sure your emails are white listed and not getting into spam folders. I’ve been personally using GetResponse for almost 2 years now and I’ve sent countless emails and I can guarantee you that almost 100% of the time your emails get delivered. And the best thing is I almost never got any complaints so far (regarding spamming or fishing) from my email subscribers. That says it all about the GetResponse deliverability rate. This is exactly what I wanted to convey in this in-depth GetResponse review, you are in safe hands. Unlike any other email auto responder service, GetResponse provides time travel feature to deliver emails. Where you can send emails to any country on their local times with just one click. This way you will be able to get more response from your subscribers by sending emails to them all over the world at perfect time. In short, Time Travel feature allows your emails travel in time to hit the inbox of your subscribers when they are most likely to be browsing through the net. Amazing feature isn’t it? GetResponse has built-in optin forms that are great looking and you have the ability to create customized forms using just few taps. If you are not a tech savvy and using email auto responder for the first time, this will be a huge plus for you. Because the built-in forms visually look great and create great feel to the visitors. One secret strategy to quickly grow your email list is to use as many opt-in forms as possible in the most visible places on your blog. Here are 5 such places you put the forms using GetResponse. Did you know by using social shares on your emails you can improve your conversion rates? If you ask people to do something after reading your emails, they are more likely to do if they like what they read. So if you have great emails with all the social sharing buttons, it becomes easy for them to share your newsletter with their friends and family. Using GetResponse, you can easily embed all the major social media sites like Facebook, twitter, Google+ etc on your emails by just using one button. One of the best things I like about GetResponse is they have lots of lessons on email marketing and increasing your sales and they put all the videos on GetResponse TV. You can have access to all of them by being their customer. They also have great support team who can give you solutions if you ever ran into any issue related to managing their service. The cool part is they teach you how to grow your email list from the scratch to getting your first thousand email subscribers all using videos. They not only educate how to create freebies to give for your audience but you will love to implement what they teach after watching the GetResponse videos. How can I forget to talk about webinars service in this GetResponse review? Webinars are web-based seminars where people interact with their audiences to educate something. Any webinar usually needs your audience email address so that way you can quickly boost your email list with the webinars. GetResponse is the very first email service provider to provide a dedicated webinar marketing platform to increase your leads and email opt-in rates. You can host up to 100 webinars every single month with their Pro pricing plan (which costs you just $49 per month) and also allows you to build an email list of 5000 email subscribers along with the access to landing page builder that you can use to creating stunning landing pages. This is a superb feature in getresponse, one I like the most. Their one-click segmentation enables you to easily segment someone or group of people who did not take a certain action on your campaigns. It could be that he didn’t open your email, click on the link inside the email, or any other CTA (call-to-action) you needed from him. You can then resend the same email to this group of people so they can take your desired action. Whether you already know it or not, landing pages are conversion boosters. If you are getting 2% conversion rates (2 sales out of 100 visitors), just by using a landing page, you can increase it up 10 to 15%. That’s the beauty of using landing pages. They always work because they are less distractive and often focus on just ONE call to action. Whether you want more email subscribers or sales, focus on creating one landing page every time. But creating landing pages is not at all easy especially if you are a beginner. But with GetResponse landing page creator 2.0, anyone can create stunning landing pages in minutes. Here’s how it works. Once you log on to your dashboard, click on Landing Pages at the top, it will instantly show you “Page Templates” and gives a wide range of landing pages to choose from. Pick any one of them according to your goals (For instance, Want more downloads? Use “Download Pages” templates). And that’s it! You can either use these landing pages on your own web server or on GetResponse server. So easy, right? Once you create the landing pages according to your needs, you can use the customized URL’s given by GetResponse and display them anywhere you want to boost your conversion rates. Have you ever seen their dashboard? It’s so simple, effective and elegant. Add contacts: Here’s where you can import all the email contacts from your social media profiles, Gmail or anywhere where you stored your email database. Most email autoresponders don’t provide this feature. This is where GetResponse beats its competitors by allowing you to add contacts from your existing list. Create Form: You can use this feature to easily create email opt-in forms to grow your email list. It’s extremely easy to create with their drag and drop interface. Create Newsletter: As we discussed earlier in this GetResponse review post, here’s where you can create and send email newsletters to your subscribers. Create Landing Page: If you want to create stunning landing pages, you can use this feature. You don’t pay to anything extra to avail this feature. It comes by default when you grab GetResponse email software and it’s really easy to design. GetResponse offers phone support (9am-5pm EST, toll-free), email support and live chat support. They also offer various online tutorials and lots of helpful resources to help you using their service more effective. The live chat support is available 24/7 so if you face any issue with their email list builder, you can resolve it any time you want! Let me be honest with you for a second. Most email marketing solutions don’t provide 30 days free trials to their customers. Even if they provide them, they ask you for your credit card details. It means, without entering your credit card information, you can’t get the free trials. Fortunately, GetResponse offers 30 days free trials without your credit card information. Just by entering your email, you can get access to their free trial. With their 30 days offer, you can add up to 250 email subscribers and send as many newsletters as possible to your email list. That’s a great feature, right? So what are you waiting for? I know picking the right email marketing software to build and grow your email list is really hard. After all, there are over 150+ companies that are offering email marketing solutions worldwide. Those are the three main factors to look for in any email marketing software and they are all available in GetResponse. Not only it comes at just $15 per month but it also has a high deliverability of emails at 99%. If you want an easy to create email autoresponder service with affordable price (and great features), GetResponse is the perfect choice. You can perform all the things from A/B testing to social sharing to time travel using GetResponse. Did you like this detailed GetResponse review? Let me know your thoughts in the comments. hello anil, Thanks for sharing this effective tool. I will start creating an email list, and this will definitely be one of the tools we consider. Thanks for the great and in-depth review on Getresponse. I got new insights from your review on the product and very helpful. Reading reviews will help us to know about the products and will save our time. Thanks for helping many people via your review. Keep up the great work I will come back to your website to learn more information. Wishing you all success! I found your post on Facebook and this was really a great review. GetResponse seems to be helpful. I am using Mailchimp currently and will definitely try this. Thanks for sharing this useful and effective tool We will start creating an email list soon, and this will definitely beone of the tools we consider. once Again Thnk Uh So Much Bro !! Loved this unbiased yet comprehensive review. I think you have shared the complete insights about this platform. I haven’t tried getresponse yet but looks wonderful. Thanks for sharing this useful and effective tool. We will start creating an email listThanks for this informative review! I was looking for an in depth summary like that as I was searching for an email marketing system. Thanks for a great post. I’ve never tried GetResponse, but it seems quite great. I’m especially interested in their marketing automation. As for the email lists, it never seems like a good idea to buy them as there’s no guarantee that people on that list will be interested in what we have to offer. There’re so many risks. I think it’s a good one..!! Actually Email Marketing has become a trend now and without services like GetResponse we can’t make more money from blog as they help in maximizing the subscriber base. A very detailed review for GetResponse. This is really very important to build email list to become successful in Blogging and make your blog profitable. Your Email list is your asset. And there is no doubt GetResponsibe is a great tool to build an email list. Currently, I am using some other tool for the same but after reading this detailed Review article, I will definitely try this. Hi, Really Quality and useful post. Email list marketing is one of the main income sources for all bloggers. On that side, the MailChimp is very popular but now popular talk was GetResponse. I’m still using MailChimp for my Email list, but I like to try this GetResponse. By our post now I fully get information about it. So, I definitely try this, the points you added and the way explained was very clear. It also easy to understand. Happy blogging with a useful guide. Thanks for this informative review! I was looking for an in depth summary like that as I was searching for an email marketing system. GetResponse sounds really great! I want to thank you so much for this article! Now I’m pretty sure that GetResponse is a very good choice for my office. Thanks again for sharing! Hi Nancy, have you tried reaching out to our Customer Support? We’d love to take a look in detail into a sample of your RSS email to be able to determine the cause of this behavior. If you can get any details to GetResponse, that would be great! We’d be happy to help! http://app.getresponse.com/support.html (Or you can just shoot me an email: kkurcwald[at]getresponse.com) Thanks! GetResponse is surely one of the best email marketing service in the market. But it provide other premium features too. Not same like GetResponse. I found that GetResponse is not a good choice for bloggers. When they send the email of a new post out to my list via rss to email, the first few paragraphs run together with no paragraph breaks. Long paragraphs are the kiss of death for a blogger. Until Get Response fixes that, I’m sticking with Aweber. I have heard a lot about this program. And I guess you are also using it. I would say this is certainly a great review of it. It can persuade anyone into using it at least once. Informative article. I once used aweber but it’s not worthy. It’s very complex to use. I am using mailchimp for making my email list but thr tool you have mentioned here is seems to be more powerfull than mailchimp. Yes this tips of softwares or websites are really usefull for bloggers and every blogger should use such types of email listing tools. Thanks for sharing will use it in future. Building an email list is surely something important if you want to be successful marketer and tools like getresponse helps alot to effectively use email list. I didn’t try Any such tool yet but surely try in future. Hi, Pramod I think you should start making an email list from the very beginning of your blogging career. If you don’t make the email list, then you might face some difficulty in the future when some new Google updates affect the ranking of your blog and getting very low traffic from SERP. So, keep hurry and build the list as soon as possible. Thanks for sharing this useful and effective tool. We will start creating an email list soon, and this will definitely be one of the tools we consider. Building a large Email list is primary strategy that most of successful internet marketers adopted because without building an email list, a blogger can’t think to grow his/her online business. useful article for new blogger because they don’t know about the value of building an eamil list.